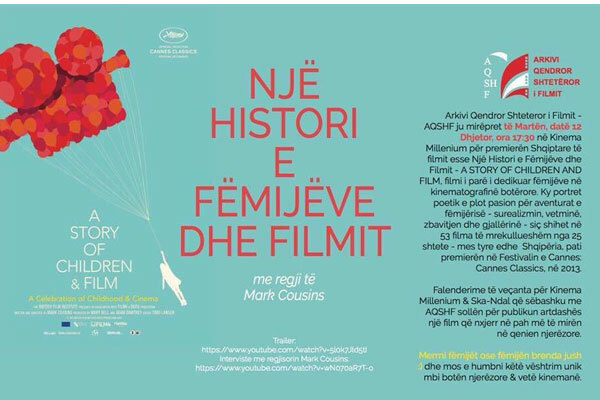 The Central State Film Archive welcomes you on Tuesday, December 12, at 5.30 pm at Millennium Cinema, in Tirana, on the screening of the Albanian premiere of the film "A History of Children and Film" by Mark Cousins. A film dedicated to children in world cinema. Take the kids or the child inside you :) and do not miss this unique look on the human world and the cinema itself. Free entry!